The iD Slip Adult Nappies have been carefully designed by an industry leader to offer exceptional comfort. Suitable for use against heavy urinary and faecal incontinence, each pad has been anatomically shaped to curve around the wearers body. Holding securely to reduce the risk of leaks, elasticated side cuffs and reusable tabs allow the nappies to be adjusted for the best fit. Producing no rustling noises, the discrete pads allow users to continue with their everyday lifestyles while causing no disruption to their movement. 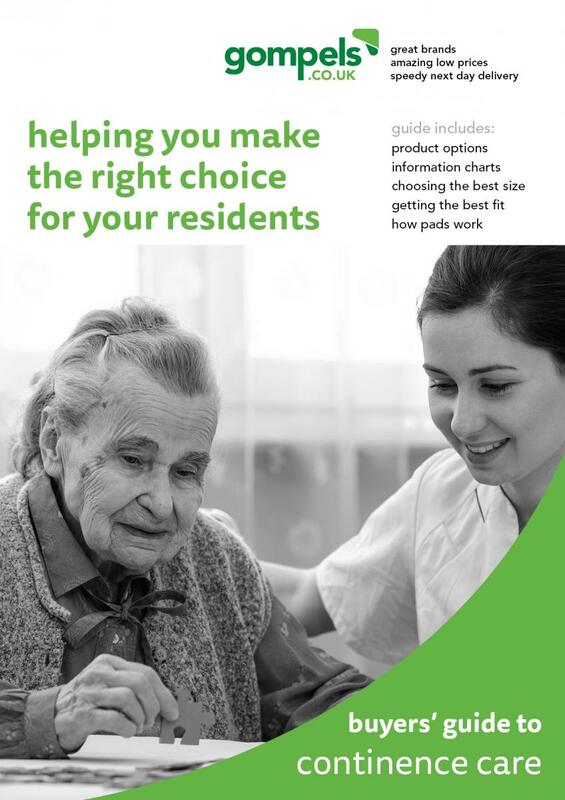 Wetness indicators along the front allow carers to identify when a pad needs to be changed. Each of these adult nappies comes individually folded for durable protection and compact storage. 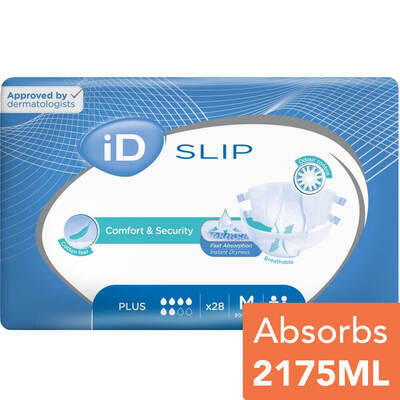 We also stock these iD Slip Adult Nappies in a Large Plus, Medium Extra, Medium Plus, Medium Super, Small Super and XLarge Super for the best fit.